We have a fun market planned for you today! Join us for our monthly Acoustic Jam series, led by local artist & musicians Cory Bushore & Felix Fabellano. Musicians meet up at the Music at the Market tent anytime during market hours (4pm -7pm) to jam and create with each other. Bring yourself, an instrument, and a friend and come play with us. All ages, levels and styles welcome. We will also have local Chef Chris Nau on hand doing food demos at 5pm and 6pm. He will be showcasing how to use local market ingredients for simple, delicious meals. Stick around after the demo for a taste of what he has created! 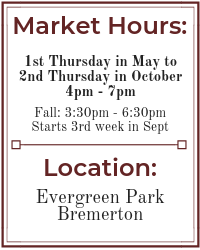 We hope to see you this Thursday at the market! Acoustic Jam Session led by local musicians Cory Bushore & Felix Fabellano. Wokcraft – Asian fusion style fare including lumpia, fried rice, ramen and more! Tiki Penguin Snow Cones – Flavored snow cones, and more! 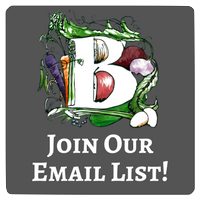 Leave a comment Community Tunes, Community Food!